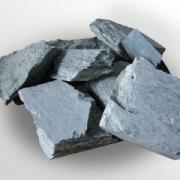 Soapstone for saunas. The choice of stone has a significant impact on the quality and quantity of steam as well as the life of your heater. 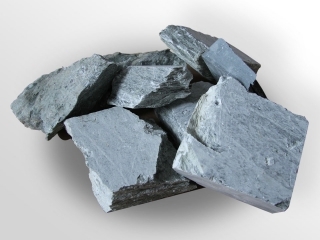 Soapstone is primarily appreciated for its high heat capacity. It is important that it gives off heat for a long time and evenly. Its radiation is similar to the sun, which is why its warmth seems to be so velvety soft and relaxing. Soapstone has been formed over millions of years under conditions of huge thermal loads and high pressure, so it can withstand more than 500 cycles of "fire-water" without cracking or crumbling. What is extremely important is that it is not radioactive and it does not emit harmful substances.